Food science and technology has experienced dramatic changes during the last century, which have been partly driven by new lifestyle trends and eating habits, as well as more specific consumer demands. It has been estimated that food consumption will grow approximately 70% by 2050 , while, on the other hand, natural resources are becoming scarcer. On top of that, 1/3 of all food produced globally is lost or wasted . In this context, circular economy strategies which aim to promote more efficient utilization of natural resources, while reducing the environmental impact of production processes, are currently being pushed by worldwide authorities. Furthermore, the food industry is actively working toward the development of novel food ingredients, which, apart from their structuring roles, can provide additional functionalities such as health benefits, replace harmful components such as trans fats, or help to improve the quality and preservation of packaged foods. Thus, exploring under-utilized resources for the extraction of functional food ingredients is currently a hot topic within food science research. One example of food ingredients widely used within the food industry is carbohydrates. Depending on their structure and properties, carbohydrates can have a wide range of functionalities when used as food ingredients (thickeners, gelling agents, emulsifiers, flocculants, lubricants, bulking and swelling agents, emulsion and suspension stabilizers, adhesives and binders, encapsulants, additives for low-calorie products, etc). Seaweeds and seagrasses are a valuable and under-exploited source of carbohydrates, as well as bioactive compounds such as polyphenols or carotenoids. Some examples of seaweed carbohydrates are agar, carrageenan, and alginate, which are commonly used in the food industry as gelling and thickening agents due to their particular gelation characteristics. Current industrial procedures used by companies for carbohydrate extraction from seaweeds are highly inefficient in terms of processing time, water, and energy requirements. Furthermore, the remaining biomass (generally much more than 50% of the initial material) is used as compost or is simply disposed of as organic waste. The European project BIOCARB-4-FOOD  aims to investigate novel, environmentally-friendly and efficient extraction techniques (ultrasounds, microwaves, enzymes, and their combinations) to obtain novel carbohydrate-based extracts from seaweeds and seagrasses. Furthermore, the biomass remaining after the extractions will be valorized for the production of cellulosic fibers, useful for the development of food packaging materials. 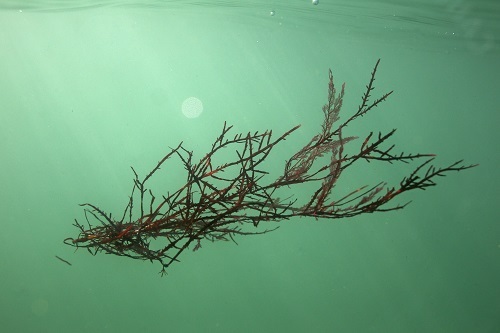 The project is expected to contribute to improved process efficiency, development of ingredients with high added value from already commercialized seaweed species and from under-exploited sources which can positively impact in the competitiveness of seaweed, food, and non-food companies at EU scale by a better valorization of raw materials. In this context, our recent paper published in the journal Algal Research in 2019 , explores the possibility of producing less purified agar-based extracts from the seaweed Gelidium sesquipedale by means of more cost-efficient and environmentally friendly extraction protocols. Agar is a carbohydrate that constitutes the main structural component in the cell walls of certain species of red seaweed, and it is widely used in the food industry and in the microbiology field. The properties of agar (i.e. gel strength, the degree of purity, color, etc) can be adapted by using different seaweed species and by modifying the extraction process. The extraction process currently used by the industry to extract agar consists of a very complex procedure, involving the application of alkaline pre-treatments, followed by time- and energy-consuming high-temperature and high-pressure treatments, filtration processes at high temperatures, and several freeze-thawing cycles. We have explored the possibility of replacing the conventional hot water extraction process with a significantly shorter extraction protocol consisting of the combination of hot water and ultrasound-assisted extraction. Furthermore, the effect of eliminating the alkaline purification step to produce non-purified agar fractions which may contain bioactive compounds was also investigated. Our results showed that the combined treatment reduced the extraction time 4-fold without significantly affecting the agar extraction yield. Furthermore, the less purified extracts generated by suppressing the alkali treatment contained additional components such as proteins, polyphenols, and minerals. As a result, the agar-based extracts presented antioxidant capacity, which could be interesting for their application as bioactive food ingredients, and led to the production of brownish softer gels. We have therefore developed a simplified methodology based on the combination of heat and sonication, avoiding the use of alkaline pre-treatments and reducing the total extraction time, while maintaining acceptable extraction yields with regards to the conventional method. This protocol allows us to produce cost-effective, agar-based extracts with potential applications within the food industry. Further research is currently being carried out to optimize the process parameters in terms of maximizing the extraction yields and adapting the agar properties to specific applications. Additionally, the same strategy will be applied to other types of seaweed carbohydrates with interest in food applications. These findings are described in the article entitled Production of unpurified agar-based extracts from red seaweed Gelidium sesquipedale by means of simplified extraction protocols, recently published in the journal Algal Research. Martínez-Sanz, M., Gómez-Mascaraque, L. G., Ballester, A. R., Martínez-Abad, A., Brodkorb, A., & López-Rubio, A. (2019). Production of unpurified agar-based extracts from red seaweed Gelidium sesquipedale by means of simplified extraction protocols. Algal Research, 38, 101420. 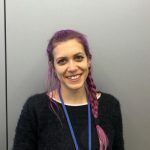 Marta Martínez-Sanz is a research scientist at the Food Safety and Preservation Department, IATA-CSIC, in Valencia, Spain.